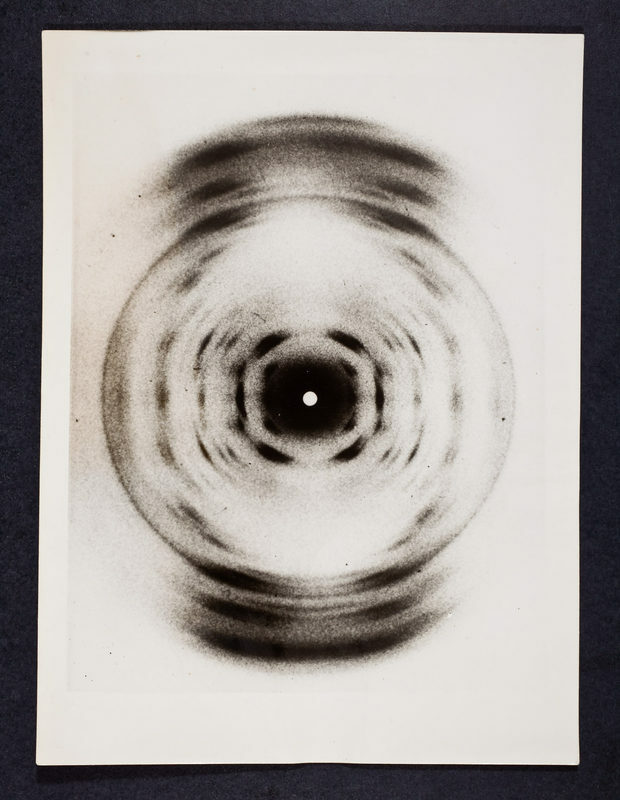 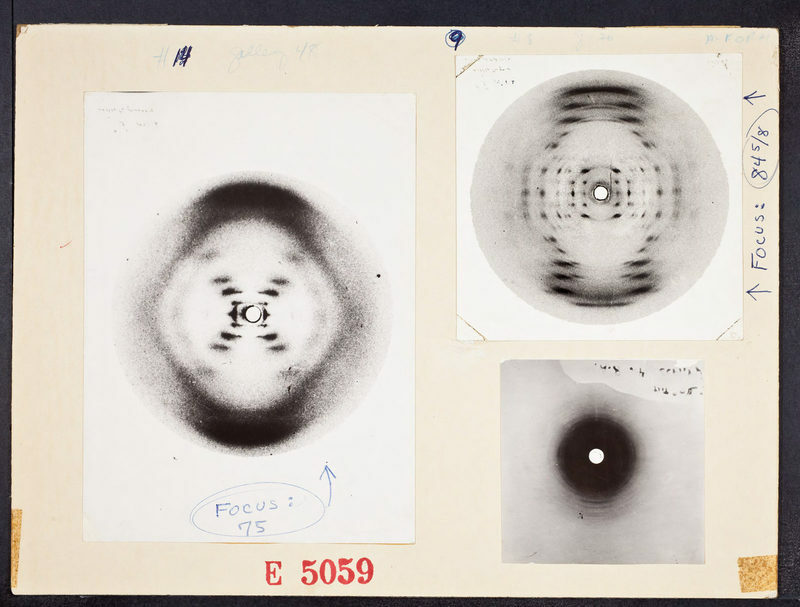 Various photographic prints of DNA X-ray images (A and B-form), including the famous "Photograph 51" (B-form), which was taken by Raymond Gosling while working under Rosalind Franklin. 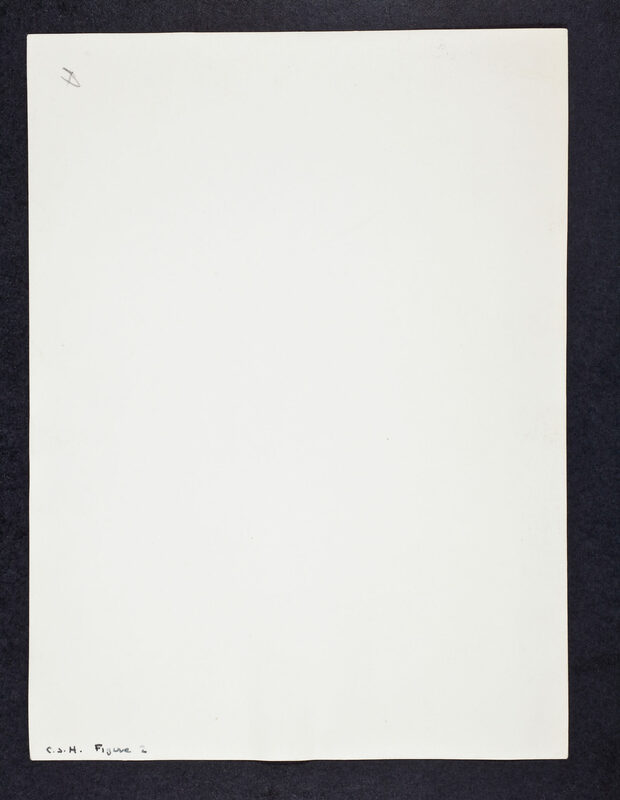 The A-form photograph includes handwritten notation by Watson on the verso and may have been used in his lecture at the 1953 CSH Symposium. 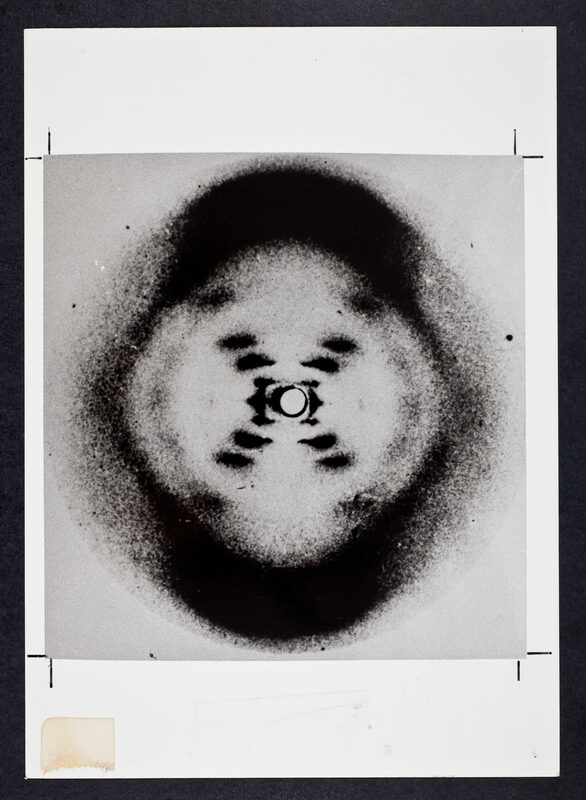 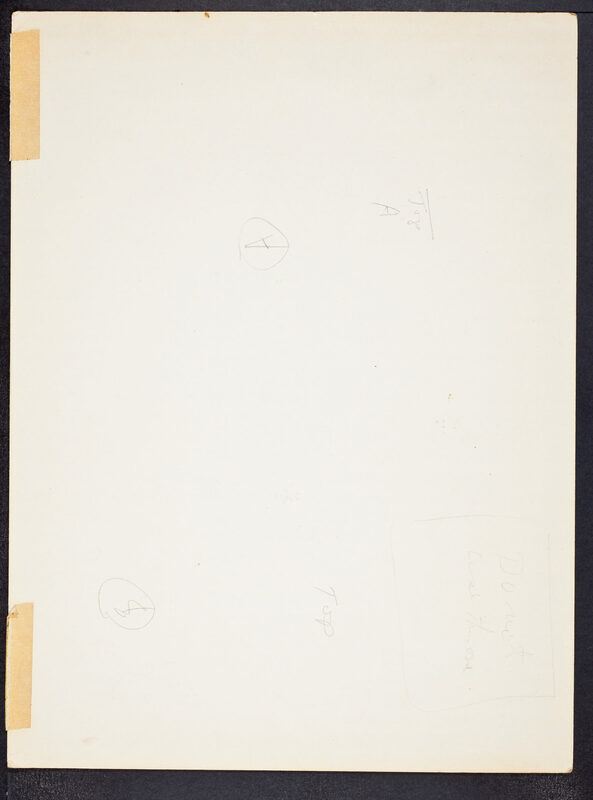 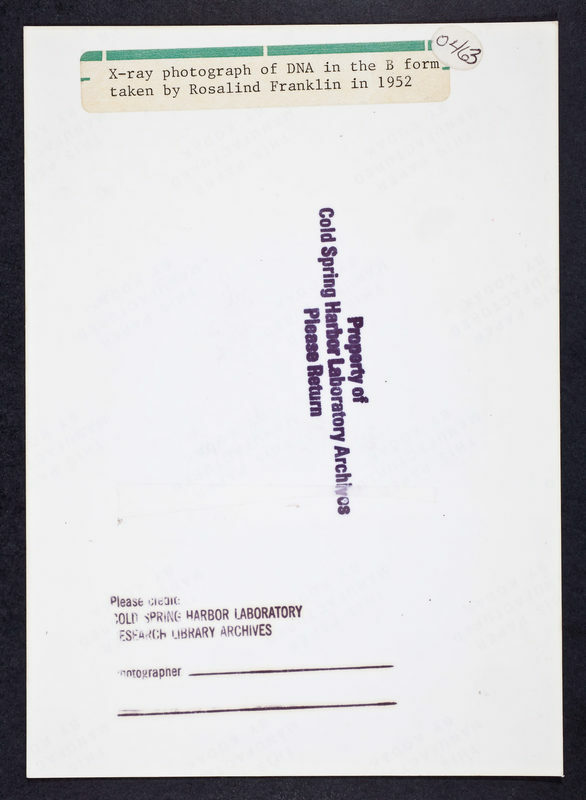 “DNA X-Ray Images,” CSHL Archives Repository, Reference JDW/1/6/8, accessed April 25, 2019, http://libgallery.cshl.edu/items/show/51231.